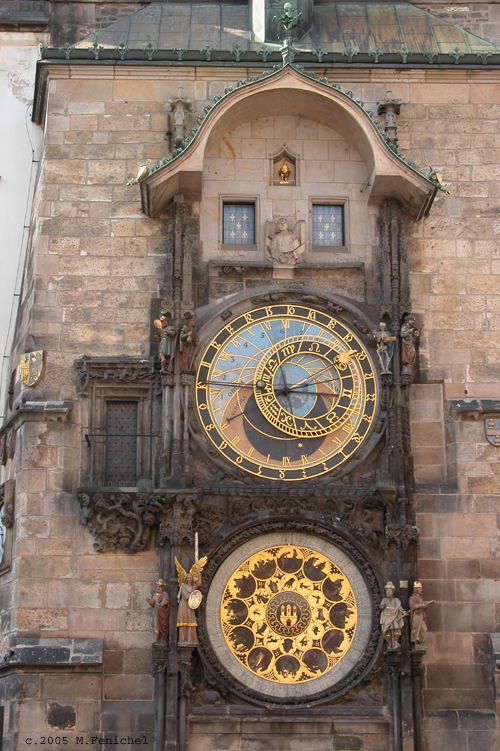 This is the renowned Astronomical Clock (orloj) of the Old Town Hall, Staroměstské radnice. It tells both European Central Time and Babylonian Time, as well as the position of the planets. 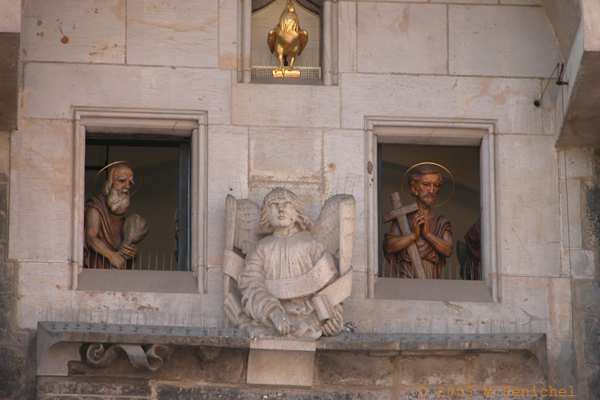 Reflecting the medieval view of life, the four threats to the city are depicted as statues just under the windows. From left to right: Vanity (holding a gilded mirror), Greed (with money bag), Death (the skeleton with hourglass, tolling his bell), and Ottoman Invaders. 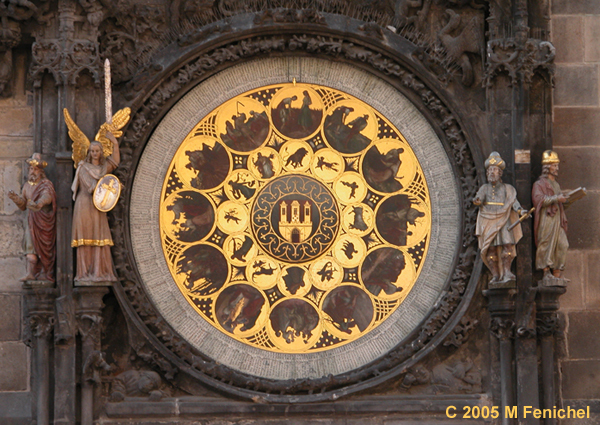 In contrast to the perceived evils of the day, the four lower figures exemplify that which was good about society and human spirit: philosophy, religion, astronomy and history. Fortunately, all turns out well as the Apostles come out each hour, and offer protection. Photography by Fenichel Copyright © 1985-2019 Michael Fenichel. All Rights Reserved.